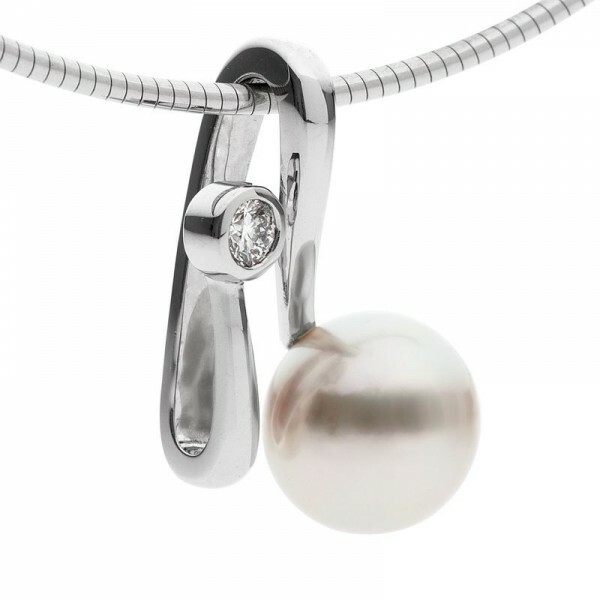 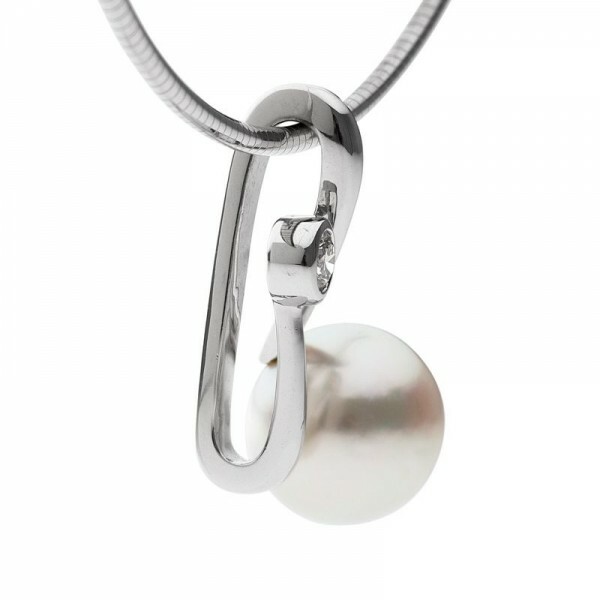 Made in 18ct white gold this versatile pendant features a perfect South Sea pearl from Broome with a brilliant white diamond. The bail size is moderate, allowing this pendant to suit many different styles and thickness’s of chains or neoprene. Ideal for work, day wear or a special evening out with friends.